Oh dear, please do not judge the messy background haha! Do you always run out of ideas for screen-free activities for the little ones? Oh yes, I do lol! It was until I found DIY salted clay dough. 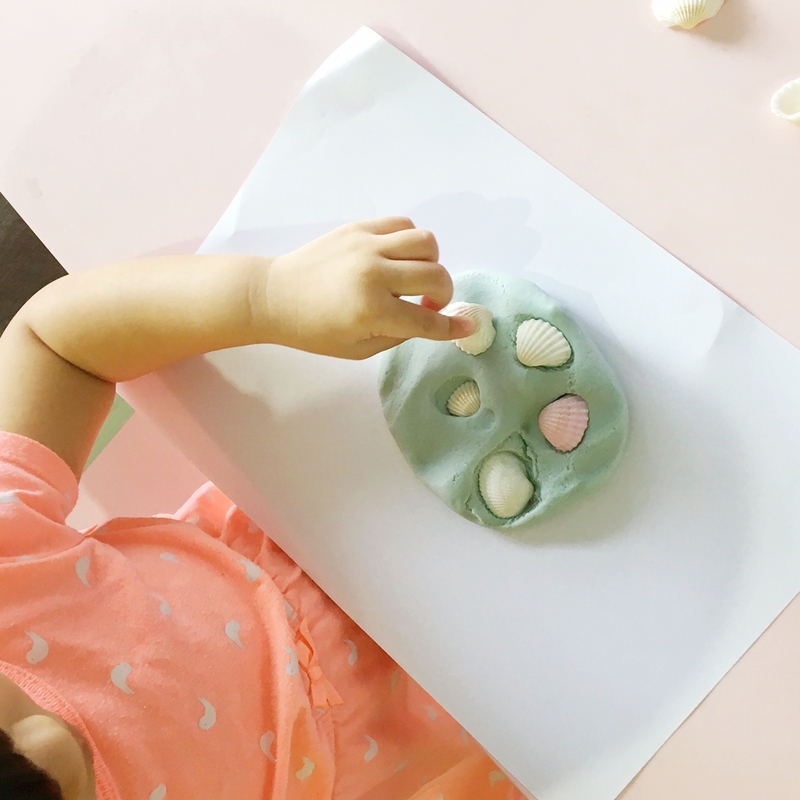 DIY salted clay dough is a super easy and fun activity for the toddlers! Salted clay dough can be used as a natural play dough, for sensory play, and/or make crafts, sculptures or ornaments. It’s just so versatile! Most of the time when I run out of ideas for screen-free time for the toddler, I usually rely on this salted clay dough, because it can be put together easily! We have used the salted clay dough several times for sensory play. 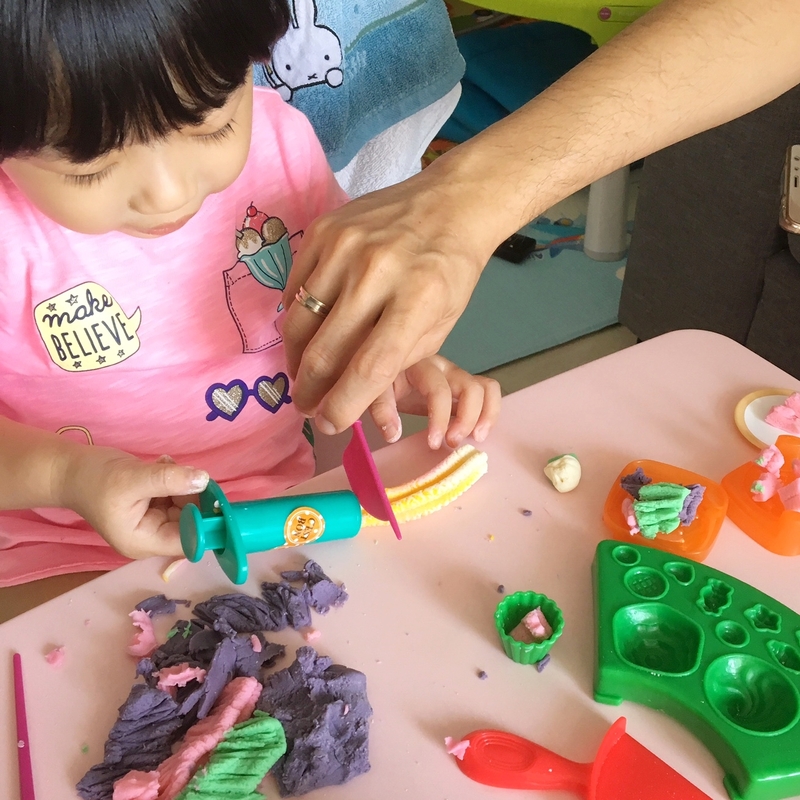 Since the dough can be rolled out or flattened easily, one of the activities that you can consider would be to do “imprints” on the dough, such as using sea shells, cookie cutters and so on. My toddler had fun making the imprints and then looking at the various patterns made. 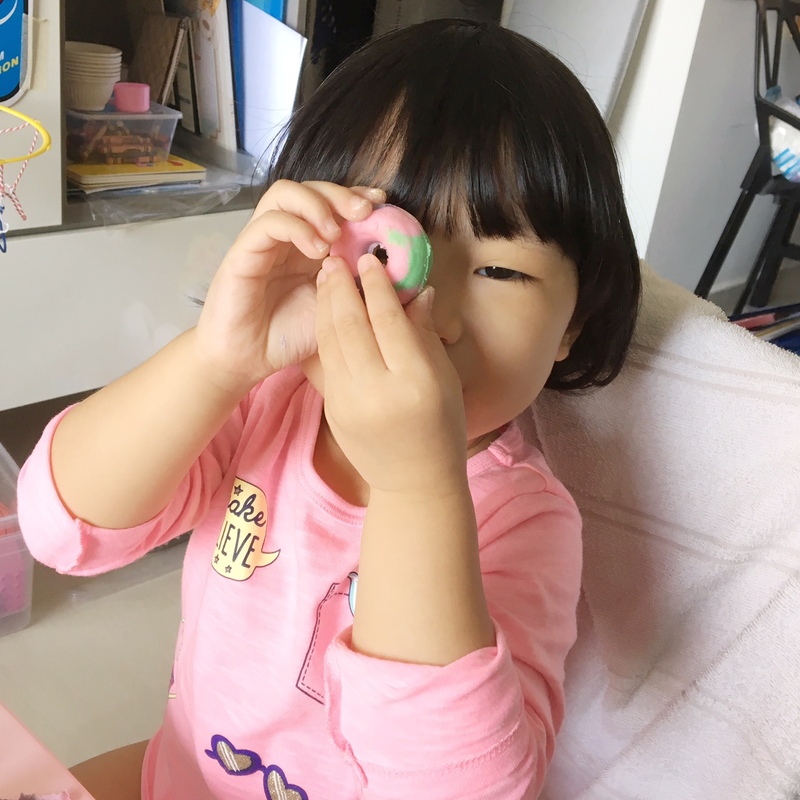 I hardly let my toddler play with commercial playdough at home, since I am not too comfortable with those. So I was glad to have tried out salted clay dough! It works about the same as playdough – though you probably need to deal with some salt grains falling onto the floor every now and then, which can be easily solved with the help of vacuum cleaner haha! 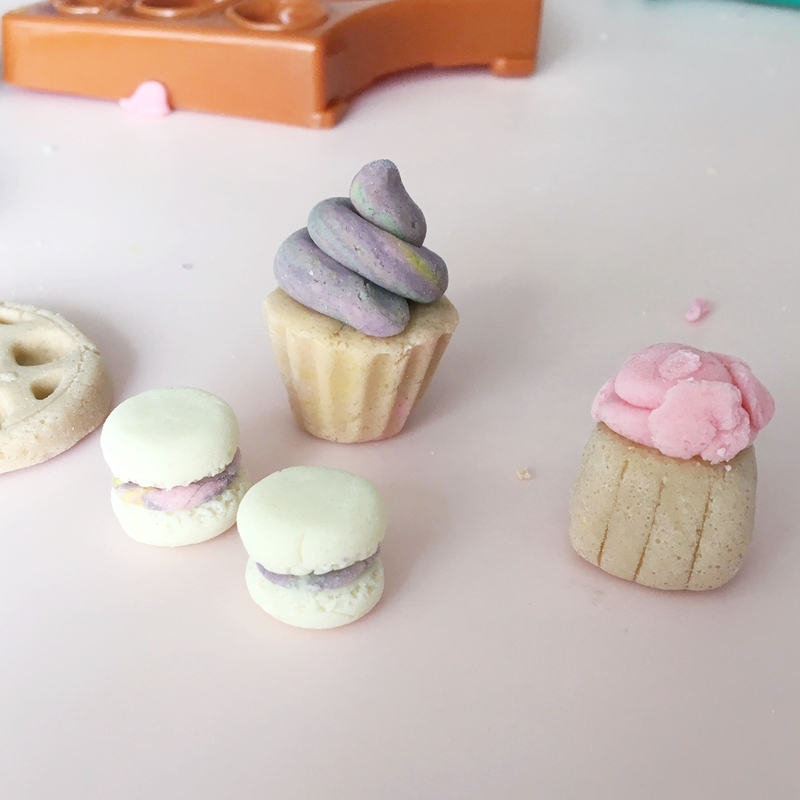 I also made some “cupcakes” and “macarons” freehand! Haha! What we had by the end of the day! – Mix 2 cups of flour + 1 cup of salt together. Try to get fine salt. I find PAN salt works best for me. – Gradually stir in 3/4 cup of water by batches. The dough should not be too crumbly, nor too wet. You can add in more flour if it’s too wet. If you would like scented dough, add in some extract into the water. – Divide the dough as desired, and knead in food gel coloring (eg. Wilton or Americolor). After creating items with the dough, you can air dry them overnight. The next morning, bake in oven 140C. The time needed to bake would depends on the size and thickness – you might need 1 to 3 hours to bake them till dry 🙂 Check occasionally to make sure they aren’t browned.